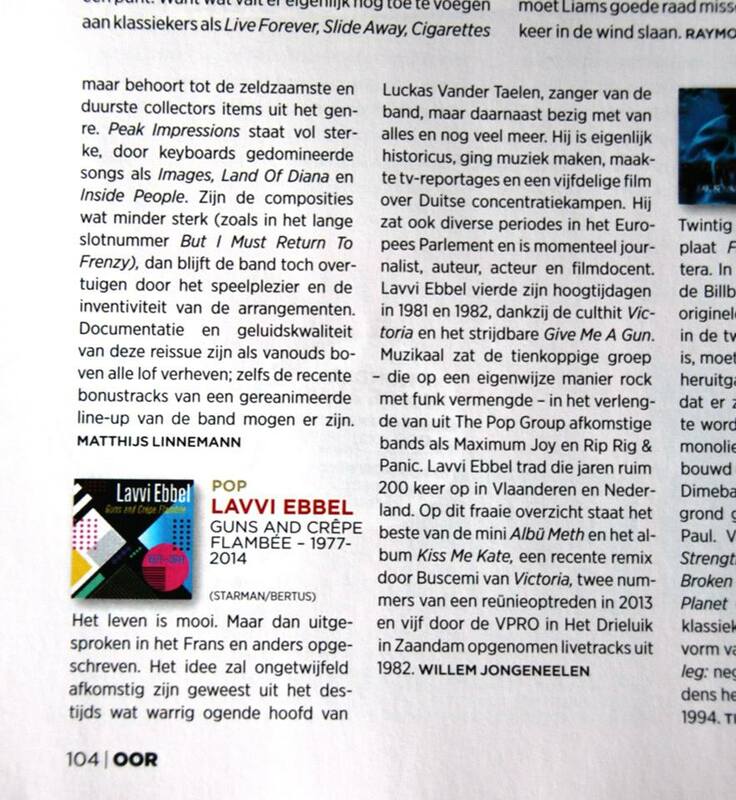 Lavvi Ebbel was without a doubt one of the most talked about bands of the Belgian new wave scene. In the early eighties the band had considerable success with singles such as “Give Me a Gun” and “Victoria”. This ten-person band had a solid live reputation thanks to the original sound of the two guitarists (Marc de Wit and Chris Van Ransbeeck), pianist (Bea Van Ransbeeck) and the imperturbable Eric de Wit on drums. 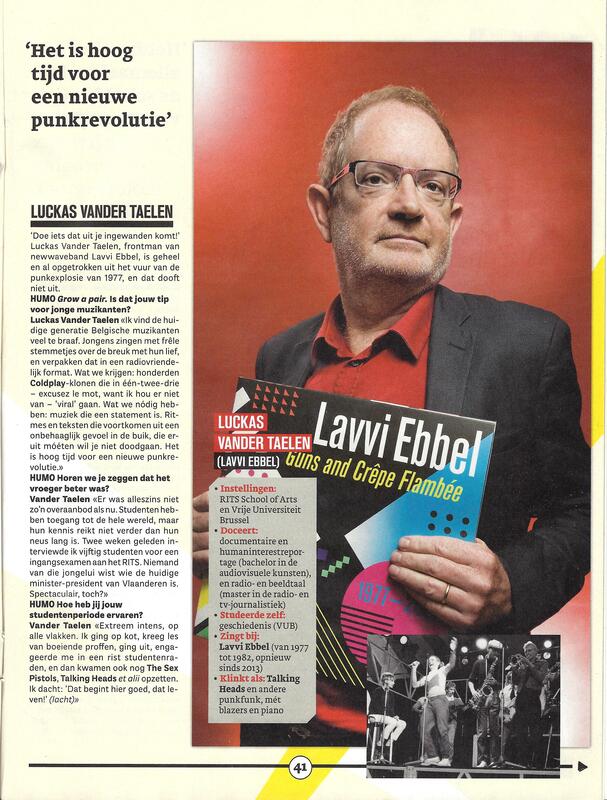 Singer Luckas Vander Taelen and backing singer Kristien D’Haeger provided a strong stage presence, supported by the swinging horn section with Jan Weuts and Eric Sleichim, who was the driving force behind Maximalist and Bl!ndman some time later.